What expansions, game packs, and stuff packs do you have installed? All except Romantic Garden Stuff, Fitness Stuff and My Pe Stuff. Steps: How can we find the bug ourselves? Wail playing, change a sim . What happens when the bug occurs? When I change the sim (I tested whit full edit mode and without and happens in both) it ages a couple of days. I tested with and without mods does the same, I repair the game and still does it. Furthermore, doesn't matter the sims I changed, everybody in the household ages. What do you expect to see? Sims shouldn't age a couple of days automatically after changing the sim in cas. Please describe the patch or change you made. t happened after the 13 of November 2018 patch, the patch in preparation of the game pack Get Famous. So, after the recent game update, I notice something odd, every time I change a sim in CAS, the household ages a couple of days. I had mods, so I decided to remove them all, and to repair the game, I even create a new game to see if the problem was with my safe file, but it keeps happening. 261 people had this problem. It seems they can randomly age up or down. Vampires and Ghosts age as well. This bug is pretty game breaking as it ages them even through the different stages. It looks like this bug does not occur if you have Get Famous installed (got early access to that myself thanks to EA Game Changers which is why I couldn't replicate the issue). This doesn't mean you need to buy the pack to fix the bug. Just wanted to put that info out there. --> After further testing it doesn't look like this is true. My Sim I'm playing in that save just isn't affected by the bug. So it seems there's another factor that makes them resistant to the issue. This will be added to the compiled list on the next round. 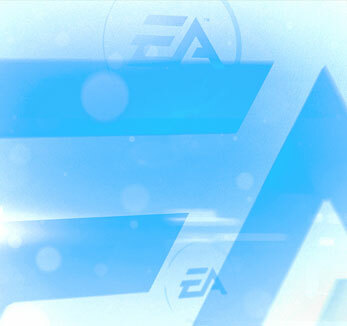 EA/Maxis is aware of this issue and working on a fix. There's a mod that fixes the issue now. I'm not allowed to link but check social media or my blog (google: crinrict 'My Sims age randomly changes') --> For those wondering, the Mod works fine with MCCC --> This mod seems to be undoing the twins fix EA introduced with the patch but it's the better alternative. --> You no longer need this mod if you have the newest version of MCCC. The fix was integrated into it. Yes, it does happen in both options and I also notice that the more time I spend in CAS the more days the sims aged. I have it as normal ageing, but it also happens with long and short. So it's like they're aging while you're in CAS ? Can you turn aging off and back on to see if the issue persists ? basically turn it off, save the game under a new name, then turn it on again ? Yep every time I even split the family apart and anyone who is in the family that goes to CAS ages and they don't just age up to zero. It seems to age them even into the next phase. I.e. a child doesn't just become a Day 0 Teen but a Day X Teen. Don't say simply change them back in CAS either as aging them in general messes with all their outfits, features, etc. Another Issue I also found was that the game time had changed. When I last saved, the children in the family had been in school, but the moment i loaded the game they were still in school but at nighttime. The moment they came home they had to go to school 2 or 3 hours later. Hello, I'm having the same issue when I change the sim. No cheat used, never installed mods or cc and it occurs both in my current save and in a new game. I have all the expansions packs, game packs and stuff packs, only different thing is that I'm playing in italian language. I already repaired my game and cleaned up the cache. I also tried Crinrict's suggestion but it still happens. It happens again, even with ageing off.